Selling on e-commerce such as Dropship, Shopify, or Facebook – but want to grow on Amazon FBA? This is the perfect workshop where you can learn how to get setup, what structure (corporate), product research and selection, and launch to create a product based business people dream of. Dropship is a common way businesses start with e-commerce. It is a great way to sell products without having to invest upfront in inventory. But what are some tactics for maximizing your chances of exposure and profits? Dropshipping from China is a skill you must master. It is the stepping stone to grow your e-commerce business to the next level. 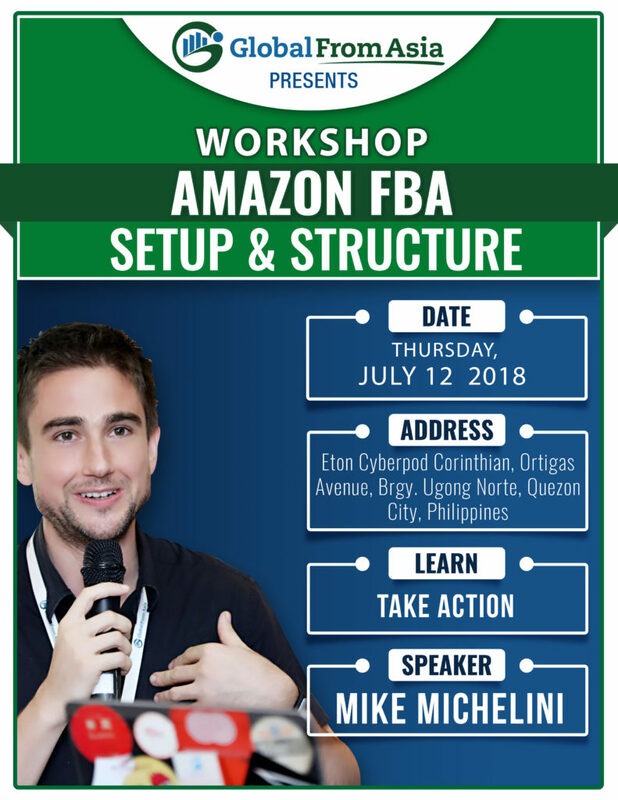 In this workshop, Mike Michelini will share strategies and formulas for increasing your Amazon FBA formula for long term scalability and growth. • Where should you register your company? • Case studies from other attendees and you! This is a workshop that is meant to be interactive. Be prepared to share your business, your current strategies, your pain points, and interact with other participants. Let’s all work together to improve and grow our Amazon FBA e-commerce businesses!